Web design: What Brands Do Not Know About Mobile App Advertising? What Brands Do Not Know About Mobile App Advertising? Admit it. We all love apps. We cannot do without them. Proof of this lies in the statistics. A report by Flurry states that mobile app users have reached 58 million users mostly centered around the 8 p.m time period. What’s alarming, is that this is the prime-time spot for TV networks too. This indicates mobile apps are stealing TV audience to fill their own campus? Flurry further states that 80% of the activity has been registered via apps. Users are actively engaged in launching apps (7.9 per day in the last part of 2012 rising from 7.2 in 2010). App users have spread and continue to spread like wild fire. This is great news for app developers however this is not a time for celebration but to work even harder. Why so? That’s because though apps are attracting good traffic what counts ultimately are dollars (that’s what app-investors want). Yes, that’s the hard part. Besides, a new study reveals marketers must not view TV and digital advertising as a separate entity. Its study found that when companies shift their TV budgets to digital channels the results are far more outstanding. The results are ‘helpful across the board’. Not only was there an increase in traffic, it is cost effective and efficient, at the same time. What more can you ask for? Next only to TV are the social media channels like Facebook where you may find huge traffic to throw your adverts on. Unfortunately, only one in 1,000 people only might click on your ad. Strange but true. TV is still considered a serious medium for advertisers to drive traffic and revenue with 98% of users choosing TV services as their favorite type of media. While, 64% users said they visited websites as a result of seeing TV adverts, according to Deloitte. All is not lost for app lovers. 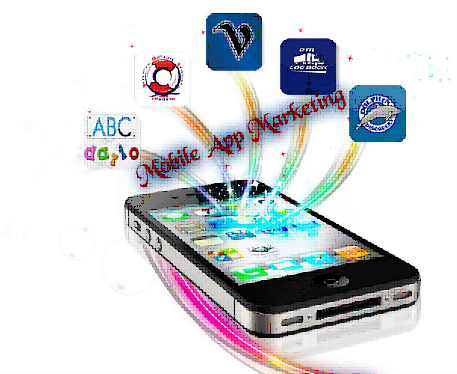 Mobile app advertising is a new industry heading for development. Therefore, it would be too early to hold its revenue accountable for its success or failure. Gartner research states that eventually mobile will rule the world and has started to do so in 2013 overtaking desktop usage. There is no doubt that mobile ads have far more reach than TV ads. Due to ‘fragmented user base’ mobile ads cannot bank on the full potential of these ads. This is quite a complex problem in itself and calls for action. As for TV it seems to be enjoying this difference but how long can it continue to do so, remains a valid question? Though, I cannot call it a war between TV and app advertisers as both are unique in their own ways. What needs to be understood here is that advert lovers must take everything with a pinch of salt. As for brands it will be wise to distribute their advertising budgets between TV and app-mediums for better, measurable results.